Tim Smith loves Viognier. He reckons it doesn't get the praise it deserves. Here's one very worthy of that praise - a winner primed to glisten in your glass and in your belly. 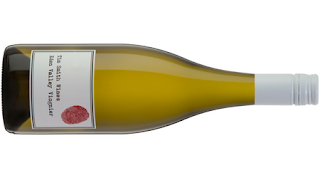 A blend of two Eden Valley vineyards. Some whole bunches were used with fermentation in new and old French oak. The barrels were blended prior to bottling. Pristine fruit strokes your soul. Soft apricot and white stonefruit team up. Whispers of citrus peel sit in the background with a hint of nuttiness. Gingernut biscuit spice rides long and moreishly. I'm thinking sand crab lasagna or blue skies to match. Or both.